we commit ourselves to refrain from intervening in the life of other Anglican churches except in extraordinary circumstances where such intervention has been specifically authorised by the relevant instruments of Communion. The explanation can be found here, thanks to Pete Broadbent (who is a bishop). Nothing in the Church of England comes close yet to warranting foreign intervention. Still, there is a document, it was leaked, and there is consideration of authorising an exception to the bishop - diocese relationship by a method so far described as "illicit". It's back to these instruments of Communion again, the Covenant process and all of that. A national Church may want to tell the Communion, organising such foreign intervention, where to get off. Er, meanwhile, Reform is most likely to remain disappointed then, as more than suspected. The condition of the Anglican Communion and Church of England is a bit jumpy at the moment, so that reports dropped like pebbles into the pond seem to have the potential of a small tsunami. There is a report in The Sunday Telegraph by Jonathan Wynne-Jones that is such a pebble. If it is not a pebble, but is a stone, then it could cause a full blown tsunami - given the recent words and limited clarification of the Archbishop of Canterbury. The report basically states that there are secret papers drawn up by the Church of England House of Bishops to allow foreign oversight by bishops on conservative evangelical parishes that might otherwise form their own Church within a Church. The context of this must be that the Archbishop of Canterbury on 14 October told Bishop John Howe that the primary unit of the Communion is the Bishop of the diocese and that such a diocese could be in the Communion on a Windsor (process) compliant basis even if the "abstract"province - the national Church - was, say, not. This was then clarified so that the national Church has important administrative functions and delivered a unity of canon law, which for many is an inadequate clarification. Now one wonders about having foreign bishops overseeing within parishes that bypasses the person who is the bishop in a diocese. It rather runs against Catholic theology, indeed Rowan Williams when in the United States called such arrangements "illicit" - a hefty Catholic code word (valid bishop but illicit). The House of Bishops paper, which is responding to the idea of an Anglican Covenant for the worldwide Church, also emphasised the need for a means to discipline provinces that refuse to toe the line. This would ensure that "those who have erred are brought to repentance, healing and restoration", but adds that those who refuse to abide by the rule book will be effectively expelled from the communion. The Rev Rod Thomas, chair of Reform, a traditionalist group that is already preparing to bring in bishops from overseas, welcomed the move. This just does not come across like the language of the House of Bishops. It comes across like the proposals of the pressure group Reform, a conservative evangelical group, or a modern day equivalent of Anglican Puritans. First of all the papers that are said to be from the House of Bishops have been seen by The Sunday Telegraph. It says the proposals come from the Church's Theological Group, chaired by the Rt Rev Michael Nazir-Ali, as its response to the Anglican Covenant. Well the words could be those of Michael Nazir-Ali, given his own increasingly semi-detached towards the conservative evangelical position. So it must be asked whether it is some Machiavellian piece of paper placing with the press on matters as advocated by Reform, in order to have a big impact in their favour at this time of confusion. It could be, though, Nazir-Ali doing his thing (and giving Reform a bit of help in the process). If it is Nazir-Ali, and he is delegated the task of writing, then there is a problem - the Covenant is intended not to be some fellowship by doctrine document, but a Catholic agreement by consensual process across a centralised Communion - where the instruments of Communion make decisions for all national Churches to follow together on contentious matters. Such a body would do this despite having no synodical structures of its own. The Anglican Communion, instead of being a connection by bonds of friendship between national Churches that share a heritage, where national Churches recognise one another (or do not), would become a substitute Church. Once again, the reason why national Churches can issue a unity of canon law is because they are the focus of unity for their dioceses and their bishops. It is up to them whether they recognise any other Church's canon law and basis of ecclesiology, whether the others are Anglican or otherwise. This is not Nazir-Ali's agenda. What he wants is all these Churches to follow the stricter boundaries of how he understands Christianity. He accuses some others of following virtually another religion. For what it is worth, my own guess is that the proposal in these papers seen by The Daily Telegraph, if from the source they quote, has no agreement yet of the House of Bishops and do not represent policy, and are unlikely ever to represent policy. Reform may still be well disappointed. According to the Archbishop of Canterbury, before his statement to Bishop Howe, with it and after clarifying it, they will remain disappointed (that is, no they cannot have illicit oversight). After all, even Reform itself said it preferred an "English solution", which would also overturn the relationship between bishop and diocese. This jumps one stage further before even an English solution to their own problem. The last time I attended the Hull Unitarian Church was in 2004; the last service I delivered there (the adapted eucharist) was in 2002. I recall that the first time I attended was late 1984, and I attended regularly from 1985 (with Anglicans until 1987) until 1989 when I went to Unitarian College, and then 1994 when living in northern Lincolnshire until 2004. The latter years saw me return after it had undergone some expansion in numbers; I was encouraged to join but refused, though my mother was a member, and then detected that I was not well regarded because I had been told to leave Unitarian College after my religious humanism and symbolic neo-Paganism of the time did not fit the locality (why I would not join - I no longer believed the propaganda about freedom of religion within the denomination). Then ideas of a men's group, a theology group, were regarded as suspicious because it was seen as innovation by the back door (and I was involved) but then, more than anything, the church shot itself in the foot many times over a trust deed controversy (over which I had no significant involvement) and which led to many leaving over time. I felt that I was one who should have left and yet stayed. It was when I judged that a minister (after Ernest Penn) was badly treated and whose employment ended that I decided to leave. The only time I returned into that company was for the funeral of Ernest Penn, the long time minister there from 1955. He also celebrated the marriage of Elena and me, and did so (with his input) to my script. Otherwise I retained the friendship of one Unitarian and it was through him that I kept in touch with what was happening locally and with the denomination. Ernest Penn, an ex-Methodist, but a long time back, was a thoroughgoing Unitarian. He was a denominationalist, but otherwise flexible in his beliefs. He had started at the Hull Church when it used a liberal Christian liturgy, and his ministry ended when the church was (compared with anywhere else in Yorkshire) relatively humanist - but it was under strain. It was theist-humanist with some liberal Christian elements. He operated according to the breadth identified of the denomination. After the funeral I was asked to look at some documents, which included a hundred year old set of handwritten notes about John Wesley the puritan, the grandfather of John Wesley the Methodist. They were looked at in Epworth, but were of no particular value except perhaps for Halifax or Poole civic archives. They are incomplete, the transcriber is unknown, and are about the interview Wesley had with his bishop prior to the Great Ejection in 1662. Then 2000 Presbyterian-Puritan ministers walked out because they could not consent and assent to the Book of Common Prayer. The congrgations of many of these Puritans later turned Arminian and, refusing to obey anything but the Bible, and without creeds or presbyteries, ended up Unitarian, some of which were then boosted by ideological and denominational Unitarians, like new liberal Puritans, later competing with and superseded by the broader Free Christian ethos types who interpreted the Presbyterians as broad and parish orientated. Thus it was interesting that Ernest Penn had these notes, and as a one time Methodist too, who had taken one part of a disused three-decker pulpit from a Halifax Methodist church to the Poole Unitarian church, and so it is supposed that these notes are either from Halifax or Poole. Also I was asked to look at and type some of his sermons as a kind of record by his widow. Well, he was obviously affected by resource shortages, because, like my friend, he wrote his sermons on scraps of paper. He had not caught up with any technology for writing, so there are lots of crossings out and additions. How he used these to preach I will never know, because he did turn over pages. I once suggested he archived his sermons, but though he showed slight interest nothing came of it. All that has happened now is that I have tried to read his writing (tough in places) and made a record of the few sermons given to me. There are more, but his study was not a very rationally organised place. So far I have transcribed four sermons. I have had to make judgements about them, even whilst keeping to how they would have been read. There is one more sermon yet to be transcribed (in my possession) which is actually the neatest and I think has been rewritten, for a special reunion service. But another sermon has been added now, the fourth, and I think is perhaps the least coherent of the four - though I seem to remember it somehow and never recall it being incoherent. He never was. He gave sermons according to the old school and had a fully trained and capable speaking voice, and would need no microphone. He looked up and delivered, even though he followed the text. He did give me advice, but at the college we were not trained in voice projection, just in reading (by someone else of the old school). His sermons give an insight into a Unitarianism that was broad in faith and focused on the denomination; well respected he nevertheless was someone within the denomination rather than being given many high level tasks and rewards for such a senior and loyal figure. He did serve on the then Development Commission, and these concerns for growth came through in much of what he said in what was always a struggle over numbers, with some good times and lean throughout. I suppose for myself there is a reappraisal of Unitarianism, via my (very) moderate Catholicism and preference for liturgical form, and my own identification with James Martineau and some of the Free Catholics. I am not very sympathetic to congregationalism (I find it illiberal) nor to the Puritan shadow that is anti-symbolic (except the 'white wall' and the minimalist as symbolism). As regards the sermon just added, the issue for me is the content of the religion, its sources and historic communities, and thus it is not enough simply to discuss religion and reason, but what religion and how reason(ing) then functions. Plus, I'm not very hot on modernist and minimalist reason, but rather on being reasonable with the complexities of text, sign and symbol, leading to a postmodernism of ritual play and a critical view of religion. The debate about ministry and orders after Rowan Williams confusing everyone, has something of the anorak about it, but going by the various blogs it does have some legs. The issue is the bishop who oversees a diocese as the key person of communion in that area, but being part of a named Church. Those in that Church are in complete communion with one another, and can arrange to share the altar table, though priests come under the bishop and having been ordained by the Church then need permission (licensing) by the bishop. The bishop is a prince in his own territory. Over at Fulcrum there has been an interesting side discussion on whether there are two orders or three. Anglicans say three - bishop, priest and deacon - whilst the Presbyterians say two - presbyter and deacon. The presbyter is the overseer. So here we have why Methodists will contemplate taking bishops back into the system, and the United Reformed Church won't. Both claim biblical warrant for these orders, so there is a disagreement and the Bible is, as often, ambiguous. Furthermore the Catholic view makes ministry ontologically different - transforming the person under these orders so that they can never be removed - whilst the Protestant view (whether of three or two orders) will promote fully and completely the priesthood of all believers (some independent Catholics will, but do so by ordaining everyone!). Of course the Bible is to be interpreted, and if by the Church that means it can add to it, though most Anglicans are not allowed to contradict its statements necessary for salvation (rather difficult when it contradicts itself), according to its own Church statements. A question arises for myself why I should be too bothered by all this potentially anorak-like argument. I never used to be. When I was at Unitarian College I did a fairly long piece (that was ignored) against the concept of the priesthood of all believers. As far as I was concerned, Unitarians did not gather on the basis of one belief or another, so that the priesthood of all believers (popularly and often expressed) was meaningless. Professional ministry, I thought, should be based on educational theories (and counselling) of facilitating, encouraging, and training. I did believe in bishops, in that the Unitarian ministers could be functional bishops - centrally paid and regionally organised to then co-ordinate churches and encourage effective lay leadership. Also they should contain and understand the evolving Unitarian traditions. These would be functional, like the two that do exist in Hungary and Rumania. The key here is that whereas Presbyterians continue to ordain, the Unitarians (who were once Presbyterians without presbyteries) largely have given it up. Even congregationalists ordain via their ministers, though the congregation is in charge over everything. The difference is that whereas most Catholic, Orthodox and Anglican bishops keep a record of who consecrated them, as they go on to consecrate others, for reasons of apostolic succession, most Presbyters and congregational ministers do not, and do not keep a record of the line going back. The anti-superstitious streak in Protestantism meant that the non-episcopal stopped recording hands on heads. Incidentally there is no difference between ordaining and consecrating, so a bishop is ordained as well as consecrated. So the Presbyter, only ordained, is still potentially a bishop-equivalent. Then there is the case of Methodism and the missing bishops. John Wesley could not get anyone to consecrate a bishop for his movement in the United States, so he did it himself. Thus there are bishops in Methodism in the United States. However, they have no apostolic succession and so are not of the Order of bishops. In the United Kingdom there are none at all, but they ordain one another, which is the function of bishops, but neither are their ministers considered of the highest overseeing order. However, Chairs of districts are considered to be the equivalent in function of bishops. If Methodists take episcopacy back into their system, then what they will do is effectively plug a gap. The gap is whether all their ministers are lay people, and if not what sort of ordinations have taken place down the ages since they were cast out from the Church of England (after Wesley's death). So the Methodists might get taken over (which is what it would be - there would be new cultural and practice variations for Anglicanism, but it would otherwise be a takeover), but if the United Reformed Church was to come to merge with Anglicanism then, presumably, every URC minister would end up as a bishop. Alternatively there would be a lot of reordaining into the episcopal system for Methodists and for URC ministers. How complicated it is; and this is the reason why the belief differences of conversionism and moderate liberalism and radical liberalism that divide these denominations but run across them cannot reorganise these old denominations into new denominations. There is a blockage in the plumbing, and the pipes go in old directions. Meanwhile Anglicanism has communion agreements with the Old Catholic Church Utrecht Union and with Lutheran Churches. Most recently we have had Anglicanism treated by the Archbishop of Canterbury as a centralised Communion, when not only has this been protested against on Catholic grounds, that the Churches are the key and the communion is but a loose set of bonds of affection between culturally similar Churches, but protested against by Protestant Anglicans who see fellowship based on shared belief. Catholics do not share belief - they accept the findings of Church Councils that make statements about belief. This is a subtle and important difference: everything about Catholicism is about the institution, a system inherited from an imperial geographical system - an incarnate system of Church in the world. So why isn't the Anglican Communion a full blown communion, everyone recognising everyone else - the only limitation being the prince bishop in his area? Well, just as one Church decides to have women bishops and another does not, so the woman bishop in one Church is not in another - and so on. The driving force against gay relationship priests has been mainly Protestant, that the Bible has verses only against homosexuality. So one Church excludes another from fellowship on the basis of false belief and teaching. However, the Catholic side - the idea that there is the centralising Communion is based on process, and that the Covenant will outline a process whereby the whole Communion can come to a decision that accepts (or does not accept) actively gay bishops. There are two drivers going on here, and there is huge confusion between them. The biggest confusion is that the Anglican Communion should have a position at all. It is the Churches that have a position. More interesting then is the position of all these tiny Churches that make up the world of the Episcopi Vagantes, the wandering bishops. Here they have it right (once you take Catholic assumptions) - because they put a great deal of stress on Catholic logic. First of all, they consecrate according to lines of apostolic succession. Indeed they do this with some enthusiasm and repetition, taking on many lines of succession through added consecrations sub conditione. Then, however, they do not usually have communion between these bishops, despite accepting that they are wholly legitimate lines of succession. The bishops do not share their altars with others [see the correction offered in the comments and also see later entry Spiritual Freedom]. What they usually do is incardinate, that is bring the other in. The bishop shares with other bishops of the same (mini) Church, and priests are incardinated under them. To connect one Church with another is to develop a close relationship, one being the senior partner of the other. This is why The Liberal Rite does not even share communion with the Liberal Catholic Church International, even though the LCCI was involved in consecrating those bishops who make up The Liberal Rite [This is not quite so: again see the comments and also see the later entry Spiritual Freedom]. Then there is the Independent Liberal Catholic Fellowship, but it is only a setting for fellowship between the various groups, if administered by one of the bishops of The Liberal Rite (thus a definite connection). Meanwhile, it is up to each of these Churches what councils and doctrines it accepts, and there is huge variation. Sometimes a Church may put itself in direct connection with another named Church - the British Orthodox Church has done this, and it has Episcopi Vagantes origins. It is somewhat stronger than Communion - of course these Churches remain and can break the recognition they have of each other - in that one Church is the senior Church and the other comes under its wing. One has a degree of authority over the other. This autonomy is crucial and born in the rejection of papal authority over all Catholicism, and therefore every Church is its own master. Interestingly as an aside to this some Unitarians do get ordained - some do by virtue of working for the Non-Subscribing Presbyterian Church of Ireland. When a few get ordained episcopally (that is, seek it out - some Unitarian ministers start as Catholic or Anglican priests) then they are doing something new, along the inspirational lines of the Free Catholic Unitarians in the early twentieth century - W. E. Orchard, the Congregationalist, made sure he was episcopally ordained, and Ulric Vernon Herford was a Unitarian who became, in effect, Liberal Catholic via consecration and consecrated and ordained others. I don't know what happened with J. M. Lloyd Thomas - whether he ever became episcopally ordained, although his inspiration was Richard Baxter and James Martineau, both of whom were Protestant based, the latter subjectively. So back to the Anglicans. The Archbishop of Canterbury has no authority over Swedish Lutherans (say) or the Old Catholic Church Utrecht Union. But also, and this is the point, he has no authority over Anglicans outside the Church of England either (and his place in the Province of York is only so because of the British State and the synodical structure). So when the Communion starts taking powers to itself, what it is doing is creating a new Church. One reason why this process based Covenant should fail is because it is altering the Anglican Communion into something it was never intended to be, and which many would feel uncomfortable about. Protestant Anglicans should feel uncomfortable, and not be seduced into thinking the Covenant is a doctrinal measure - it is not, but rather a means that the Communion should move together, to do the theology before provinces make decisions. They can decide whatever they like - but would do it at the speed (presumably) of the slowest. So this centralisation is effectively another form of Roman Catholicism. It is not Orthodoxy, where the Churches decide with whom they have recognition. It is not, either, as in the Independent Sacramental Movement. The Instruments of Communion would be Roman Catholic alternatives. Perhaps we should thank the Archbishop of Canterbury for the insight that is now coming about. This insight is unravelling the Anglican Communion, however, because the national Churches will simply not accept this usurping of themselves. Plus it is causing the Protestant and Catholic mixture to be unravelled too. The Anglican Communion cannot take the centralisation: the load will break it. So it may be for anoraks, all of this, but it has to be looked at in such detail otherwise the institutions will not know which coats they are wearing, and they will all get very cold. Clarification (Confusion) - Communion Withers! It should be understood that the Archbishop’s response to Bishop Howe was neither a new policy statement nor a roadmap for the future but a plain response to a very urgent and particular question about clergy in traditionalist dioceses in TEC who want to leave TEC for other jurisdictions, a response reiterating a basic presupposition of what the Archbishop believes to be the theology of the Church. The primary point was that – theologically and sacramentally speaking – a priest is related in the first place to his/her bishop directly, not through the structure of the national church; that structure serves the dioceses. The diocese is more than a ‘local branch’ of a national organisation. Dr Williams is clear that, whatever the frustration with the national church, priests should think very carefully about leaving the fellowship of a diocese. The provincial structure is significant, not least for the administration of a uniform canon law and a range of practical functions; Dr Williams is not encouraging anyone to ignore this, simply to understand the theological priorities which have been articulated in a number of ecumenical agreements, and in the light of this not to increase the level of confusion and fragmentation in the church. This is too limited. The Church is the basis of a bishop's existence, and it makes the diocese of which any one bishop is the focus. The Church is the named entity under which the bishop exists. As said before, a bishop is first of all consecrated according to a line or lines of bishops with claim to apostolic succession. All those bishops come under jurisdiction of a Church of one sort or another. The consecrated has also to be in a Church. This is the point: the Anglican Communion is not the Church, nor is it a substitute for a Church. The bishops may be in communion with each other - or they may not. They may be in communion with the Old Catholic Church Utrecht Union - but it does not constitute a higher Church. It is therefore quite in order for the Nigerian Church, say, to make a decision not to recognise The Episcopal Church. Because each is recognised by the Archbishop of Canterbury does not mean that each is in communion with one another. It may be preferable if they were, but they may well not be, and if not then that is that. The structures are therefore not purely administrative, and it matters that each Church gives out its own canon law. It is indeed a unified canon law because it comes from the unified Church in each case. The "ecumenical agreements" are indeed that between Anglicans - called bonds of affection, because of a shared practice. This has not been clarified by the Archbishop of Canterbury, probably because he thinks there indeed should be more to the communion than there is. My view (for what it is worth) is that this episode is a bit like Mikhail Gorbachev when he was trying to find ways to establish a new Commonwealth as a successor to the old Soviet Union. After a reassertion of the Soviet Union old style, he was brought back to his constitutional position, but the result was that the institution which he led - the Soviet Union - collapsed, including any meaningful Union. So it is likely here. By this over assertion and now clarification, the outcome most likely is that the national Churches will properly reassert themselves, and the Anglican Communion given such elevation on 14th October is probably now dead. The national Churches are the key institutions and where, to put it this way, the effective power lies. 2. the juridical/territorial model of church vs the network/fellowship model of church. It could be argued that the first of these has had its day (and that therefore Rowan and others who argue for the bishop in diocese being primary may well have lost the argument - but so will the provincialists). 3. the strong forces of postmodernity and communication immediacy, which mean that we find our networks of affinity wherever they may be, and that a sense of place and neighbourhood no longer determines with whom we are i n relationship. This third secular pressure may ultimately lead to the division of the Communion into (at least) two separate units. The criticism is something like this: point 1 is the same as Reformed versus Catholic. Reformed as the basis of the Church, that is the Church decided on a doctrinal and confessional basis, can still be the Anglican middle way formed by practice and minimal documents, and does not imply an evangelical view (it could be liberal - it was one strand of the Reformation too). Catholic is baptismal and unity based, though this does not imply Roman Catholic. The Eastern Orthodox model may be more appropriate: the effective Church is one or two levels above the dioceses. It delivers grace through the sacraments, and can directly give doctrinal space. He argues against all territory - not just the diocese but also the province. If this is so then there is effective congregationalism, or pick a bishop, any bishop, the bishop who most suits the fellowship in linking with other fellowships. It's possible - and could happen if a Covenant is rejected by some and various Covenants then appear. A Covenant that restricts is going to be rejected; if it excluded some Anglicans then they will produce their own Covenant. This is a function of, again, Rowan Williams's belief in centralisation, which will simply result in fractures and splits and variation. It is indeed at least two units of Communion likely as today's communication and the postmodern take effect. But then there are already continuing Anglicanisms, just as there are other Catholics, many denominations, wandering bishops, and every variety under the sun of Christians and Christians plus or Christians minus. As an individual I move one parish away from where my home is situated in order to go to an Anglican church - and this is for preference of style and message; plus I communicate with those with whom I have views in common. Indeed his third reasoning encourages further specialisation, and this specialisation is driving the first two reasonings into fracture. So now Rowan Williams has back-pedalled a little, but not enough to be clear. By making his general statement for the need of a particular problem, he raised the Communion to the status of a Church. By back-pedalling and knowing that the Churches will decide their own relationships, he has probably rendered the Communion meaningless. This patient has been sick for a while and needed gentle treatment. This continued and thus recently reasserted effort to solve a division by centralising has demanded too much of the sick patient. The machine is giving one long tone now. It may be, after a time, that the national Churches also fail (after all, there is new and effective denominationalism going on within and between the Western Christian Churches of many kinds), but at this moment they are the units of decision making and accountability most likely to assert themselves. The Communion now is body dead and may well be brain dead too. Erika asks (previous entry) whether such as the latest words of Rowan Williams change the local church and what it does. Not directly, possibly, but there is a tense atmosphere about, and the reason I asked to put David Rowett's 21 October (Trinity 20) sermon on my website in the Spiritual Area (it will probably migrate to the St Mary's website) is because it is responding to the current environment. The sermon reflects on the reading from the letter to Timothy by an unknown author (as well as the Gospel), which is used by some evangelicals to bash others over the head. So this sermon unpicks that bit of behaviour then. So the answer is, yes, indirectly. David Rowett appears on Thinking Anglicans as Mynsterpreost. Is Rowan a Roman (again)? 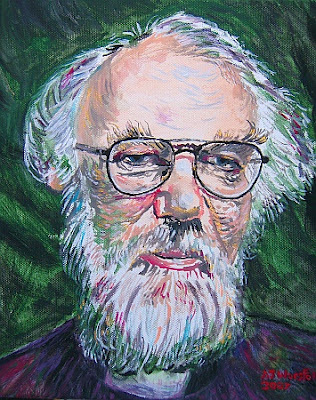 Jon's comment for the previous blog entry here states rightly that Rowan Williams's ecclesiology is Roman Catholic, and in thinking through his email letter to Bishop John Howe (made public for all to see), one has to ask again whether or not Rowan Williams is increasingly Roman Catholic. As a reminder: he has stated in effect that a Bishop is the key person of the diocese, and a Windsor compliant bishop is part of the Anglican Communion whatever the national Church does, and the national Church is not so important. My point is that every bishop must be part of a Church, and therefore the Anglican Communion has been elevated to the status of the Church. Something I have not mentioned previously is what then happens regarding these Primates - of national Churches? Why are they important? Well then become, in effect, cardinals over bishops, leaving the bishops as key in dioceses. Top cardinal is the Archbishop of Canterbury, who thus is the Pope. Except of course he is not a Pope. He writes that he is waiting for their view (though so far he won't hold a meeting of them to give a view - perhaps due to its potential for manipulation). Then he will give his view. The question that follows is on the lines of, "Then what?" "Then what" is that the National Churches will reassert themselves. What makes Anglicanism different from Catholicism is that it is also Reformed. It is not Reformed alone, nor particularly Protestant (though obviously it is partly Protestant). When Alister McGrath wrote for the Church of Ireland about Anglicanism as a denominational family that is Protestant, he pushed his argument too far, as well as unnecessarily reacting against Gregory Cameron's piece on ecumenism. (I disliked this article for its extremism in feeding the Protestant psyche in Northern Ireland: we forget too easily that the Church of Ireland was a direct instrument of oppression by the State through its planted Protestant population and its descendents over a native population of the land.) Nevertheless Rowan Williams pushes his viewpoint too far. Those who think this is a wonderful new solution to Anglicanism splitting will find Anglicanism ending up falling into factions and fractions, and won't care for it when the boot is on the other foot. Look, I live in the Diocese of Lincoln. For what it matters (and it doesn't that much), I feel fortunate that the diocesan bishop is well connected with the Modern Churchpeople's Union. Good job I don't live in parts of Kent then (especially Rochester). However, from an Anglican perspective, what would make Kent bearable for me is that it is part of the Church of England, just as this might make Lincolnshire bearable for an evangelical. There is a shared cultural history and a belief inheritance. There are other groups and movements attached. However, if it jumps straight from this diocese up to a college of cardinals, in effect, then this is very high level remote rule. Ah there are many Anglican traditions, but nothing synodical or identifiable, close enough as well as wide. Well it is not like this, is it? There are conventions and synods and Archbishops and Presiding Bishops - of national Churches. The Anglican Communion is a discussion shop. Otherwise, the Bishop of Lincoln could make intermediate connections with The Episcopal Church, with the Scottish Episcopal Church, the Church in Wales... Why not? It would be up to him. Not that these would be anything other than intermediate associations of the big Communion that was the overall Church. Rochester could join Nigeria tomorrow. I would not be at all surprised if, when Rowan Williams retires, he overcomes his objection to having a Pope, and College of Cardinals, because these are logical, and gets himself reordained in the Roman Catholic Church (unless Rome regards him as valid and illicit). After all, these bishops in dioceses relate to this thing called Anglican - the Communion now made a Church, by Rowan Williams - and why should such an illogical framework for Catholicism stand? Unless one pauses and thinks of Orthodox theology! Here the actual named Church does matter, and not something called Orthodoxy. In Anglicanism, then, it is similar: it is also the national named Church that is the key. Rowan Williams is essentially Roman Catholic, and perhaps he ought to see this and come to terms with it (unless his narrative theology would be deemed unacceptable to Rome), and stop imposing such definitions of centralism on the rest of the Anglican Communion. The continuing spiral downwards of the Anglican Communion has been accelerated by no one less that the Archbishop of Canterbury. The full letter he sent to Bishop John Howe is extraordinary, to say the least. This could be the operation of the law of unintended consequences. The intended consequence is to stop individual American parishes of The Episcopal Church placing themselves under a foreign bishop rather than the one of the diocese, but it is put in the context of "Windsor Compliant bishops" who stay loyal to this process of the Anglican Covenant via the big bishops' meeting at Lambeth 2008 (in the summer). This is the letter as extracted from a conservative weblog, Titus One Nine, produced by the Rev. Canon Dr Kendall Harmon. I've just received your message, which weighs very heavily on my heart, as it must - though far more so - on yours. At this stage, I can say only two things. The first is that I have committed myself very clearly to awaiting the views of the Primates before making any statement purporting to settle the question of The Episcopal Church's status, and I can't easily short-circuit that procedure. The second is that your Rectors need to recognize that this process is currently in train and that a separatist decision from them at this point would be irresponsible and potentially confusing. However, without forestalling what the Primates might say, I would repeat what I've said several times before - that any Diocese compliant with Windsor remains clearly in communion with Canterbury and the mainstream of the Communion, whatever may be the longer-term result for others in The Episcopal Church. The organ of union with the wider Church is the Bishop and the Diocese rather than the Provincial structure as such. Those who are rushing into separatist solutions are, I think, weakening that basic conviction of Catholic theology and in a sense treating the provincial structure of The Episcopal Church as if it were the most important thing - which is why I continue to hope and pray for the strengthening of the bonds of mutual support among those Episcopal Church Bishops who want to be clearly loyal to Windsor. Action that fragments their Dioceses will not help the consolidation of that all-important critical mass of ordinary faithful Anglicans in The Episcopal Church for whose nurture I am so much concerned. Breaking this up in favour of taking refuge in foreign jurisdictions complicates and embitters the future for this vision. Do feel free to pass on these observations to your priests. I should feel a great deal happier, I must say, if those who are most eloquent for a traditionalist view in the United States showed a fuller understanding of the need to regard the Bishop and the Diocese as the primary locus of ecclesial identity rather than the abstract reality of the 'national church'. I think that if more thought in these terms there might be more understanding of why priests in a diocese such as yours ought to maintain their loyalty to their sacramental communion with you as Bishop. But at the emotional level I can understand something of the frustration they doubtless experience, just as you must. The unintended consequence is this: that the focus of unity is the bishop in locality, and his (her) loyalty is then to the Anglican Communion on a faithful basis (in this case, the Windsor process). According to Rowan Williams, this is Catholic theology. Well, as I have been finding out recently (see recent blogs below on Liberal and Free Independent Catholicism), even a wandering bishop has to be connected to a named Church. That Church may be from an existing one, or such a bishop may start a new one. But there still has to be one. What the Archbishop is saying is that the Anglican Communion is that Church, not the province. This is definitely not what those who built the Anglican Communion thought and intended, nor as it has been understood until, well, the 13th October this year. The Church of England, for example (made up of two provinces, incidentally), would never take any instructions from beyond its borders, and the Anglican Communion was a set-up for discussions and not decisions. Indeed, this Archbishop has stated that the Lambeth Conference 2008 cannot take binding decisions. It is the Churches that have the synods and brother bishops that make decisions, not the Anglican Communion. We have seen this before. This Archbishop has (at least) two sides to him. One is the nip and tuck narrative theology by which some call him a liberal. The other is this push for a centralised Catholic theology without a Pope. In other words, according to him the Communion is not just a federation or a spiritual commonwealth, nor is it Alister McGrath's family of Protestant Churches! Once again he refers to the Primates making views known before he makes a statement purporting to decide The Episcopal Church's status. The reaction from many, regarding what the Primates think, is, "So what?" There is no central structure in the Anglican Communion for deciding anything. Nor can the Archbishop decide. Some say the Anglican Consultative Council is the only body to decide, along with the Archbishop of Canterbury - but not him alone. So far the Joint Standing Committee has given approval to the response of The Episcopal Church to statements made by the Primates at Dar es Salaam in February 2007, which the Archbishop described as "not an ultimatum". The Episcopal Church and indeed every Anglican Church will find Rowan Williams' viewpoint incredible. He has undermined every Anglican Church going. There is another aspect to this, too. This is the quality of the ride delivered by the Archbishop's interventions or non-interventions. It is extremely bumpy and the vehicle keeps hitting the walls. First it hits the wall on one side and then the other. So far he has shown every inclination of keeping The Episcopal Church in the Anglican Communion. Now he waits for primates, and his own statement, with every possibility that it may be kicked out. However, the letter intends to show clear opposition to foreign bishops coming in, and at any time, the price being that even if The Episcopal Church is given a marginal place in the Anglican Communion that individual dioceses can be fully members via the compliant bishop. Rowan Williams is, as everyone knows, very intelligent - so asking if he has thought this through seems a little odd. Has he thought this through? Suppose developments as urged by Reform to have a "biblical based ministry" in opposition to so called liberal bishops (with whom they feel out of communion) get nowhere. They might then bring in foreign bishops - clearly also wrong according to the Archbishop of Canterbury. They might want oversight by another English bishop - also wrong, according to the Archbishop of Canterbury (they should accept the bishop in their diocese - he is the focus of unity). So far, so good. Ah, but what about a bishop in a diocese who falls out with other bishops who are regarded as too liberal, about which the Church of England does nothing (because others think they are not too liberal). So the bishop of the diocese takes a decision to ally himself with, say, an African province, on the basis that they uphold (in their synods and meetings of bishops) a higher standard (for them) of orthodoxy. Now according to this Archbishop, there is no need to do this, because the bishop himself (herself) is the focus of unity and is in the Anglican Communion, but it means therefore, for those who think the Church matters, that equally the bishop of a diocese can go to whatever Church he (or she) pleases. The unintended consequence of what the Archbishop has written is that it does not matter. We have Protestant minded bishops - for whom the actual Church does matter - who could well wander off to other Church communions as a way of protecting their purity. Goodbye the Church of England, then, and all others. What a mess. The bumpy ride - I've been charitable regarding this Archbishop, whose low level interventions have looked like a strategy: let the various parties sort it out, let history unfold, let's see the desire to hold together in the Anglican Communion overcome the splits and likely schisms. Now I think he has lost it: something is seriously wrong. Once again, the only solution - and yet it is probably too late - to the Anglican muddle is for the Communion to be as loose as possible, a spiritual commonwealth. There are Anglican Churches, and it is up to them, one by one, to decide with whom they are in communion. The various Orthodox Churches behave in this way - recognising and not recognising. The Archbishop has almost a Roman Catholic view of Communion, not just Catholic. The Catholic view centres around named Churches, and they decide whether to be in communion or not. The letter of 14th October leads to nothing but chaos: more chaos. The mess of the Anglican Churches is in danger of becoming disintegrating chaos. Once again, a centralised solution for something spinning outwards just causes a more violent schism. This letter makes the disintegrating chaos considerably more likely: the Anglican Communion is going down the plughole. I hear chatter about the BBC and a Media Licence Fee that would cover broadband as well as TV aerial transmission. One can imagine the fee added to monthly charges. I think this should be killed stone dead, but here is one reason why it might well live. I'm fed up with television. Today I watched part (20 minutes) of a film I've seen before, its ending, and before it finished a piece of information was put on the screen about what was on next. I had no interest in what was on next. I had my viewing interrupted, pierced by this intrusion. In future I shall ignore their films and even endings of one. Then there are the dramas put on BBC Four. They now put their logo on dramas, as if we cannot find the channel. It ruins the viewing, so I do not watch them. I'm not just writing this, I really do not watch. The BBC logo comes in an out of shot according to the brightness and darkness of that segment of the screen. I'll put up with it for news and for talking heads, but little else. It drives me nuts and I put it off. It is why I don't watch UK TV History. It should interest me, but its logo is intrusive and it is filled with programmes I have seen before. They can't even do the wideview properly. It has now gone off in the evenings, to make way for some utter rubbish called Dave. A channel called Dave! Another one of no interest is Virgin 1, that replaced the rubbish that was FTN (so no difference there, then). At the end of December I have to buy another licence. A friend says, if I am getting rid of the TV can they have it? I think they probably can. I see there is a special place now at the local dump for all TV and electrical equipment. I could sell some too. As well s this, I have this Thomson Freeview box, and it had a really good programme guide. Then it was infested with a Teletext Guide I could not avoid receiving, and every time I have to reset the box to go back to the better "old" one. It is yet another annoyance, though I find myself using the guide less often. Also, when you don't use it, you stop seeing programmes you might have watched. I don't buy a listings magazine (they are only as good as the rubbish transmitted), and I do not buy any newspapers. In fact newspapers are dead, and TV is going the same way. As far as I am concerned, TV as it expands and "goes digital" is dying. It is dying in a sea of rubbish and repeats. Recently ITV digital channels added colour to its logos. I thought I'll just try and avoid their distraction and watch some old stuff remembered on ITV 4. Yes, ancient repeats. Then I find they crash the adverts into the programmes. Those programmes were written with two breaks in them. They crash three breaks into them. Oh well, I'll eat my tea in silence instead. Back to the main point. I can see basic pictures of events now that the BBC puts BBC News 24 on the Internet 15 seconds late. It puts Newsnight on the Internet after it has gone out. Good: then there is really no point having a TV in order to look at events. In ten years, when broadband then makes broadband now look like a couple of cans and a taut piece of string, the computer will carry all media (and will have altered itself). The TV licence fee will be like a dinosaur. This is why they will tax computers, or the receipt of an information line into one - but in the meantime I think I've had enough. My mother moved elsewhere in December 2006. She had received a free licence as a pensioner. I've already told her I'm thinking of getting rid of the TVs and all receiving and recording equipment. I'd lose hiss-free radio, except (again) via the computer, but then I hardly listen to radio either. The BBC is cutting staff at the margins due to the licence fee settlement. If I was it, I'd be worried that it has no medium term future at all unless it can find another tax. As its licence fee goes up in price for a reduced service, and as the BBC is surrounded by a digital age of junk, and as it will add more repeats to a repeats-ridden BBC Four and to the pointlessness of BBC 3, it might find more and more people saying it is time to give up television. The age of television is over and it is visibly dying by the day. Setting Up a Liberal Group? This possibility arises of starting a group when there are so many independent and liberal movements today. A growing movement is the Progressive Christianity Network, and then there are Sea of Faith Groups. Both are still thinly spread, but clusters are appearing. There could even be liberal religious groups like church fellowships. I have looked into a range of them, in asking why they cannot get together, and looked at even those where some get ordained and consecrated via several lines of apostolic succession - producing their own small religious communities like churches. Then there are simple discussion groups (talking, reading) or perhaps activity groups (practical or spiritual). However, if the people starting such a group are already in an existing one one, like a church, then sensitivity is needed. If the group forms inside the church, it may look as if it is a potential takeover, or defensive, or against the ethos of the church (if opposite or mixed), but if it forms outside it might be seen as competition, schismatic and divisive. Sometimes a group may have the active support of the minister and leaders, or at least an understanding. The degree of attachment the group has to church depends to some extent on the absence of hostility from minister and other leading people. Also it may involve connections with more than one church, and more than one minister or ministers of one denomination. Conversation routes may then be very complex, a multitude of sensitivities and motives (real and imagined) arise, and keeping channels open may be quite complex. For example, some in one denomination may ask if a group is a front for another denomination and wonder who knows most about what. It could be that the greatest need for a liberal group is in a locality where the local church simply does not incorporate the liberal aspect within its walls. If not then setting up such a group will be unattached to that existing body. So how to do it: well a group should have a clear, specific, public agenda (the constitution can be more general or imported). It should be launched in public in an open meeting that all who want may attend. The group should at least be semi-detached if not detached from an existing church or churches but someone answer questions about its progress or otherwise to a church body or bodies as a matter of courtesy and openness. It is still worth keeping channels open in the face of local hostility whilst defending against actual disruption. Starting a specifically liberal group is a challenge to some people who doubt the legitimacy of liberal religion. This is why they are wanted! Such a group is seen often as undermining, or a cop-out, or shows (say, to evangelicals) an evangelistic opportunity that the liberal people simply reject. Still one can be open about its purposes and what it is doing. What cannot be compromised, once it is set up, is the agenda of the group, its intellectual and other sources and its intentions. Disruption is not permitted, even if questions are and there is space (for a time at least) for oppositional points. Nor can there be restriction on its appeal for new members from outside, on a liberal basis of contribution and not people to be 'evangelised'. A principal need is a safe space for people to express doubts, to formulate faith alternatives, and think things through in different ways. The group decides, not others, whether there is any value, for example, in 'upholding the Incarnation' or what understanding, if any, is given to resurrection or other doctrines, or how far to incorporate the insights of other faiths and philosophies. It decides how faith is to be understood, or (more likely) the degree of active toleration given to individuals to give different views. It may be that a church already has a discussion or some form of activity group. There may even be a liberal hue to it, as another group in the same church may have a Catholic or evangelical hue to it. Good, but such an internal group can never simply become one of a liberal agenda (unless this identifies the church). Such a group must always operate to a wider ethos of the church it is in. It may indeed be obliged to uphold certain doctrines or dogmas in some public manner. At some point the new group may want to sign up to an existing network, or have an association or membership. Then its ethos becomes drawn from that body more obviously and completely. It would be a case of keeping good relations with others where it built good relationships (if it did). Groups go through highs and lows. One important matter is not to think that the world can be changed. A discussion group is just that - it talks. There is no point saying later, "Well nothing is being achieved." It is if people are talking. It may help to read, or share the preparation of papers. Be a seminar! A group that worships is the same - it succeeds if it worships. A group that does practical action might have to be more ambitious in the doing, and even more ambitious is wanting to achieve combinations of these. Matters should be kept simple and achievable. Another useful characteristic for a successful group is to have a historical root. This is to say, know where the present is and future direction according to what was the case. Blog entries on religious groups previous to this one (below) are all about sources and connections. It is a frustration when people are 'not on the same wavelength'. The liberal group (like many another) sets out to achieve this. It can draw on many more sources than of the one denomination, and can say things that might frighten the horses elsewhere. It may achieve a safe place, even a forward-going place, if it is under pressure in the religious situation in a locality. In such a situation, so what if it became a congregation? It offers actual choice. If this happened where there was no such pressure in the locality, then it would be a failing in one or more local churches to have such an extended new development beyond. Such a situation would not come about where the people who set up a semi-detached group are already catered for within that church; it is just that in their added group they can specialise and go beyond provision. I liked Menzies Campbell, but was torn about him because there was that sense he could not do it, and a real fear that the Liberal Democrats would go backwards. The LD worthies wanted Ming to win the leadership, but it was the wrong choice - probably, and the probably turned out to be so. I am as much a Liberal Democrat as is possible to be without actually joining up. I consistently like their policies, though I think they are overdoing the green thing - green taxes could be regressive taxes, for example. One of two skills would have saved him. One was a good performer in the House of Commons. He did often pick the right subject, but it lacked delivery. You could tell how hard he was trying, with his increasingly pithy questions, but it looked like he was trying hard. The other was a reach into the public in a way Charles Kennedy achieved. Kennedy was not rated in the House of Commons, but he could beat many a politician outside. Yet Charles Kennedy could not be imagined as a Prime Minister. You could imagine Menzies Campbell as a Prime Minister, but he seemed to be ten years too late at least, and lacked that charisma of draw. Yes he did preside over a very good Scottish by-election, but he did not have general appeal. Unlike the other two leaders, he hardly benefited from the party conference. I imagined the next election, with seats lost, and Campbell resigning, and all for what? Campbell did intend to run to the election in two or so years time. I don't agree that it was all based round an election sooner rather than later. I think Campbell would have done better in an election soon than in these recent polls, and would have used the professionalism put into the party, and his building a team, and his own position. Yet once Gordon Brown did his 31 years later version of "waiting at the church", the spotlight fell on to Menzies Campbell. In policy terms Iraq Campbell's main success was also his untimely millstone around the neck; once Brown started withdrawing more troops and showed an intention to close Iraq down from a British point of view (spinning of course, but reductions would be shown) Campbell lost his main policy punch. It was as if that was his job, foreign affairs, and that was that. There was more than that, with solidity elsewhere too, but it sounded like yesterday's record. However the Liberal Democrats do not mess about. Campbell could see the writing on the wall when the light fell on him. He knew that the delayed election cut the ground from under him. Once he has to go, he goes quickly. It is payment by results, and the sack comes swiftly. The Liberal Democrats have developed a ruthless streak for the leader, for by-elections and for marginal seats. Interesting how he has left - by not saying anything. He's gone home, no doubt to transfer to another kind of life. Well it falls on to the Acting Leader to have long days (Vince Cable is very impressive, but exactly the same reasons prevents him being an actual leader - David Steel is right that Menzies Campbell at the resignation of Kennedy should have been only acting leader) . Of the contenders, I still think Chris Huhne is the strategist, from a business background. Nick Clegg seems to be OK but may be too telegenic and lack gravitas. Huhne could be regarded as an effective leader, and he may just have the breadth of a political vision to mark out a future strategy. He may be able to make Brown look old-school and Cameron vacuous. A chance to see Elena and talk a bit longer, and have a more civilised journey to a job interview near Portsmouth, means I am missing another of the church's In-Depth Group meeting. So I have provided an apology and short presentation. It is a series of logical steps, whereby an expression that varies only slightly to take account of the self and the environment, done by a group, draws on a historical, history-like or story moment of such significance that it receives a divine quality, and that is then drawn into the individual and the group and, by reinforcement, is effective to produce a new world view, creating a new reality. In other words, it is relating to something around the theory of liturgy and liturgy being active. I need to express here my many thanks to Bishop John Kersey of The Liberal Rite and the Independent Liberal Catholic Fellowship for his assistance to me in commenting on my essay about Free Catholicism and Liberal Catholicism. His comments were detailed and showed an extensive knowledge of the movements and personalities in the Independent Sacramental Movement (and I suspect that he knows plenty about all the others too, from correspondence). Incidentally my essay is a commentary; the actual detail is better covered in pages provided by the Independent Liberal Catholic Fellowship (which John Kersey administers). There is only so much value in copying what is already there, and that is towards the argument I want to make - an argument increasingly open I should say. I started off with many assumptions, then had these challenged by ranging around the various sources, and then had these challenged again by further detail and explanation. I suppose I am somewhat drawn to this Free Catholic and Liberal Catholic matrix of groups (via their consecrations and ordinations, and then various patterns of beliefs) and then I do some head scratching. If there is a common position among them, then it is that valid consecrations and ordinations, that place an individual into a relationship with a valid bishop and his or her group (incardination) is the means by which grace is delivered through the sacraments, about which there is then leeway on content of belief (including even real presence - I got that wrong). In other words, the liberalism that results is in the space generated once there is this grace. It is utterly anti-literalist. Then, there is the related preference for the spiritual and even universal - the mystic - over the historical, and this even includes the lines of consecrations and ordinations considered as valid by Roman Catholicism, Eastern Orthodoxy, and the Independent Catholics. The universalism is a route to Theosophy that was, and is, still important in many groups - though this is often misrepresented. So is the Spiritualism of H. P. Nicholson and a working it via his own beliefs through to an effective Liberal Catholic position. As is pointed out to me, even in the origins of the Liberal Catholic Church (the most Theosophical), James Ingall Wedgwood thought Theosophy would become one day less important as the basic Catholic system continued - that of valid and placed consecrations and ordinations. As is also pointed out to me, additional consecrations sub conditione are principally about attaching ones ministry to more valid lines from other Catholic traditions (as well as, say, Anglican Catholics worried about their Orders getting themselves attached by re-ordination to one of these valid lines). This is where I scratch my head. First I do because if a line is more sound spiritually rather than historically (the way that a family tree becomes its identity into which we are set, never mind what the milkman did one day in the past and the resultant child was passed off as the husband's), then this can mean that the main Anglican (as ever) line might still be spiritually sound. Nevertheless, it is this validity that they find important, and what allows these groups (and individuals attached) to find their identity, and therefore ties Independent Catholic groups in with the lines of consecration that allow the rejection of Papal dogma and Eastern sterility. Presumably issues of validity come down to historical record where available, and argument going back into the mists of time. From a Roman Catholic point of view, and Eastern Orthodox, there are valid but illicit bishops - and then there are those who share the faith but without valid orders. But theirs is but one opinion, which raises a quick head scratch, I suppose, about why one should want to follow Roman views about validity at all (unless it is also your own view) when such comes with the added tag of illicit. The third head scratch is over the rejection of Protestantism and the priesthood of all believers and its double routes of both literalism and liberalism. Liberalism was derived from theological revisionist movements from reading the Bible literally (discovering no doctrine of the Trinity in the Bible, that it is extra Biblical and later) and then, later, biblical criticism and moving from the Bible to individual conscience. Arguably the thrust of liberalism within Christianity comes from the Protestant side, and indeed in part also comes from those groups that gave up episcopal governance. Unitarian liberalism comes, early, and later, from this: and from the desire for broad based geographical ministry (the parish). In between Unitarian liberalism had a different source, which was the ideology of the Enlightenment and how it fused into the first Unitarian biblical literalists. This is the world of John Locke's ideas and related. There is, of course, Catholic modernism, of grace and space, but any working out of a broad based Christianity (such as by Hans Kung) begins to look somewhat in agreement with Protestant scholarship. The liberal inspiration that generated the Free Catholicism of Joseph Morgan Lloyd Thomas was the Protestant revisionism within the Presbyterian Richard Baxter, and on to the broad universalism of James Martineau in connection with that. This connects with, in Anglican terms, the Broad Church rather than High Church. Nevertheless, it overlaps with High Church, and the move towards symbolic individualism (collectively - if evolving - liturgical, individually interpreted) by James Martineau was taken a further step into High Church or the Catholic side by J. M. Lloyd Thomas and W. E. Orchard. So here is a fourth head scratch: this liberalism does, of course, question the rigidity of having these Orders, whether the liberalism is Protestant or Enlightenment in origin. Reasoning asks, and questions, what are you doing having elaborate liturgies and hands on heads? Does this rely on magic and the supernatural? This is why Weberian Sociology sees hands on heads and liturgies as traditional authority, whereas liberalism is modernist (or bureaucratic authority, or after Weber). Interestingly The Liberal Rite is itself human relations authority in its Troeltsch-Mysticism (he linked this voluntary organisation of freely made religious groups to the Enlightenment) and congregationalist basis. There is a clash here, and it is in maintaining the fixed basis of the Orders being defended: supernatural or magic. They can be is a means of identity, and inherited practice. This is the peculiar thing. Without seeking to defend it, for all its expressions of Catholic and Protestant dogma, these elements qualify one another in the Church of England and introduce liberal doubt about not only its dogma but also the need to maintain valid lines. In some ways the Church of England becomes more liberal on some points of organisation than the Independent Catholics. The Church of England is more muddled and confused with all its overlaps, whereas Free and Liberal Catholicism seems to have a clearer separation between the need to maintain valid lines of consecration (where it can) and the liberal content of faith - whether Unitarian or Theosophical inspired (or both). It may be that such a separation is not so possible with the impact of the modern and postmodern, although a variant of John Milbank's Radical Orthodoxy or perhaps Lindbeck's (or Liechty's, as this would be liberal, ethical and broad) Postliberalism might be a get out of jail card here). Anyway, one upshot of this is that an Anglican who stresses High Church principles can never be quite so high and clear as the Free and Liberal Catholics, not without re-ordination, unless they also value the Reformed tradition as a qualifier of such claims or the liberal tradition that questions everything. Another matter is I am persuaded that the Church of England has engaged in black propaganda against the Independent Catholic Movement (some of my earlier assumptions) and much of this can be easily dismissed. The Movement originated in particular by Arnold Harris Matthew (and, also important, Ulric Vernon Herford) are genuine and sincere and followed necessary paths according to convictions not ambitions. Lots of source webpages are here including a range from The Liberal Rite and the Independent Liberal Catholic Fellowship. For about a fortnight now I have been working on an essay to bring together information on Independent Catholicism, that is those Churches or Rites (often very tiny) that have bishops in apostolic succession with Roman Catholic lines of bishops but are independent of the Roman Catholic Church. The definition of "independent" excludes the Orthodox and the Anglican. Some lines go through these too, and some go via other Churches. There are quite a number of such Churches and bishops, and many are called wandering bishops. Of particular interest, however, is the development of liberalism with these Catholic orders, and for this there are two streams: the Free Catholic, inspired by Unitarianism going off in that direction, and particularly Joseph Morgan Lloyd Thomas, and the Liberal Catholic, with the infusion of Theosophy, via James Ingall Wedgwood and Charles Webster Leadbeater. There is also a pre-theosophical strand here, just before these two, in the impact of Arnold Harris Mathew, of the British version of the Old Catholic Church - and he was for a time a Unitarian. Another important character is Ulric Vernon Herford, a Unitarian turned Liberal Catholic. In 2006/ 2007 there seems to be a little bit of an organised revival going on and thus the developments of the early twentieth century are being revived. There are clear Unitarian roots to some of these developments, managed by individuals, and there is the ongoing small Liberal Catholic Church International (where theosophy is now optional) and the Open Episcopal Church, which looks back to before Theosophy and one supposes wants to be as with the Old Catholic Church. All these groups are liberal, and all are not Reformed but only Catholic (once clear of Unitarianism, and Free Catholic Unitarianism is somewhat rejected by the General Assembly of Unitarian and Free Christian Churches). In other words they are clerical and this clericalism upholds real presence (bread and wine), another belief these groups seem to share. This is another example of the influence of the broad and anti-denom inationalist James Martineau, who died in 1900 (pictured right as an elderly gentleman). Martineau inspired J. M. Lloyd Thomas with his liturgical conservatism, individualist open belief subjectivism, and a broad Church outlook. It is also one line of the outlook of the Presbyterian Richard Baxter. Nevertheless J. M. Lloyd Thomas and W. E. Orchard took this outlook into the heights of Catholicism. My essay looks into this in detail, and shows a disjuncture between Catholicism in orders and liberalism in belief without an active Reformed agent. The question is one of identity and form, and what is a sideline of Christianity, and one route revived that is finding a rich worship whilst rejecting selective literalism and dogma. The essay is found in the Learning Area - Religion - Denominations - Independent Catholicism. Incidentally, in the light of the new work on such Independent Catholicism, and with a consideration of Unitarian events in the United States 1870-1882, the talk given to Sea of Faith Yorkshire on 22 September 2007 has been revised for its continued life on the World Wide Web. It is found here but I have left the original talk unchanged here for the sake of a record of what was given. These are in the Learning Area - Religion - Academic - Sociology of Progressive Religious Groups . It's hard to keep up with the destructive goings on spilling out of Wycliffe Hall. It is the college undergoing revolution in order to strategically tackle the open evangelicals first and then "the liberals". The revolutionary Dr Turnbull is having quite an effect: 40 per cent of staff members have left already with a management style of the bull in a china shop. I have updated my webpage about the goings on of this good example of a conservative evangelical strategy, to have the right kind of ministers trained to tackle the Church of England. There is the interview with Eeva John, who has written two letters at least about the dismissals, and Clare McInnes has gone public too, because she reckons the minutes of the governing Council meetings do not reflect what went on in terms of her own objections. The University of Oxford also thinks that Wycliffe Hall is no place for Oxford undergraduates and that, as a small place, it is particularly suffering from such tensions inside the Hall. Meanwhile the Archbishop of Canterbury visited The Episcopal Church (TEC) House of Bishops (HOB), and TEC HOB decided to extend its previous position it had agreed to (not to approve active gay relationship bishops, not to authorise gay blessings) in order to keep in with the Anglican Communion, and the Joint Standing Committee (with a tiny bit of dissent) has said well done. Some Primates (around the British Isles, for example) have said it has done enough as well. Nevertheless the Africans remain itchy, and many primates have not spoken yet. The Common Cause Partnership of dissenting congregations leaving The Episcopal Church has decided to try and work more closely together, despite some members being vehemently opposed to ordaining women, some in favour, and with lines of bishops going out to different Anglican centres of authority - it is incredibly messy and any new denomination a candidate for splitting itself. What matters is what these African provinces, which have said Canterbury is not so important, y'know, are going to do with their troops now they have been marched to the top of the hill. Are they going to declare not just TEC out of communion, but do as threatened and set up an alternative centre for an Anglican Communion made in their own image? An essential step for this is to declare the Archbishop of Canterbury and the Archbishop of York in league with the leadership of TEC and having assisted their lack of response (as they see it) to various demands. Every so often I take a look at Anglican Mainstream, just to monitor Chris Sugden's latest words of hostility, to see when the action is coming. In other words, is Chris Sugden going to get on with it, like Richard Turnbull has made his start, in the world of the Conservative Evangelical trying to bring about a sectarian revolution in the Church of England - or outside it? What David Cameron decided to do then was - declare policies and do a good presentation. He didn't much attack. Somehow in British politics doing a good speech qualifies you for running the country. Now let's just see if Gordon Brown and the minnows in cabinet pinch a few, like those on inheritance tax and the like. Gordon has dithered. What a surprise. He shows that he does spin, that he does announce to the media first rather than parliament, and he shows he is not the competent manager that the spinning was saying earlier on. He shows, without an obvious direction for the future, that he wanted to grab an early five years, but on polling the marginals decided to run for it. No one elected Gordon Brown: the Labour Party did not challenge him, and no one in this country did. Now he is going to have to tough out the decline in the property market, and the fact that our economy is built on private debt. He has not renewed himself, and now stands exposed to an opposition that itself to a gamble on declaring policies and making an attack, and seems to have come off better. Cameron has had a bad three months. Now he might be a little more effective.